I’m still burning the candle at both ends of the day to wrap up my work in time, but I wanted to drop in and let you know about two lovely features. 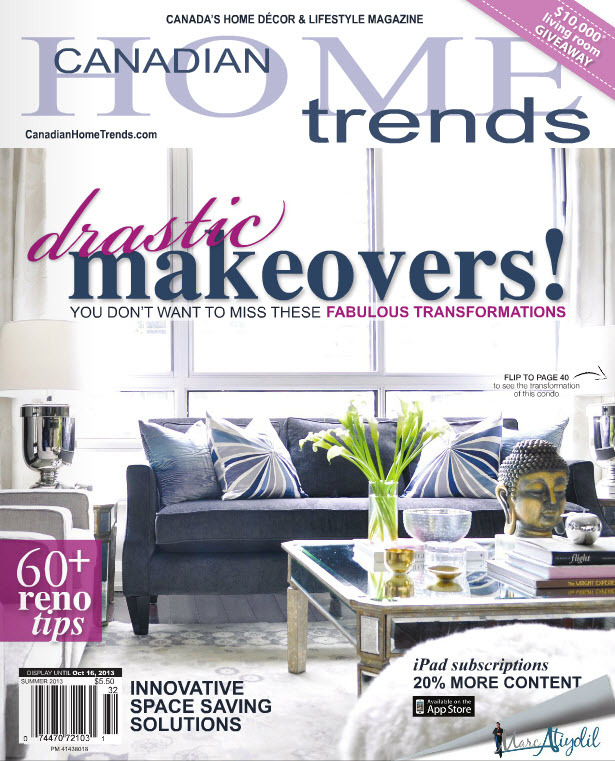 Along with some of my favorite bloggers, I was included in the Summer issue of Canadian Home Trends magazine as one of five “Reno blogs we love“! Click here to read the free summer preview! 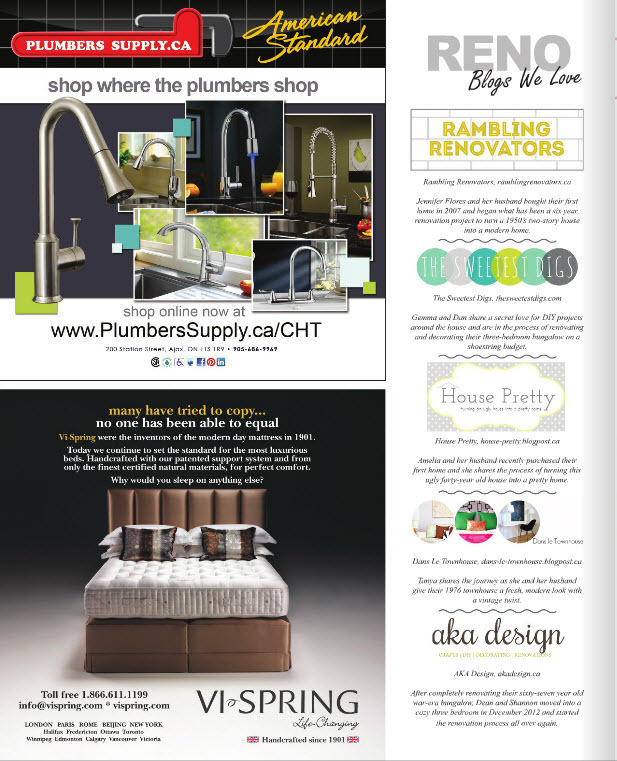 And check out the other blogs featured: Rambling Renovators, The Sweetest Digs, House Pretty and AKA Design. In other flattering news, Amy, from Love on Sunday, featured my feminist mirror makeover for her fabulous Thrifted Thursday feature. I love getting a sneak peek into what other people find thrifting and yard saling, and what they do with their loot. Congratulations Tanya!! That is so awesome! Thanks Dora! Did you check out Amy's blog? It's so pretty. Thanks, me too! I plan on hanging it somewhere even more prominent in the lakehouse. Woohoo! It was great to be featured alongside you Tanya! Lovely feature on Amy's blog too. Congrats! Such a fun feature, right? Such a great Canadian magazine. Congrats to you too! Hi Tanya, congrats on the Canadian Home feature, that's awesome! And thank you again for taking part in Thrifted Thursday. I think I have the exact same mirror in white! Thanks Amy! Oooo, white sounds so fresh and pretty! Thanks for your kind words!! I do the same thing: I'll pin things I like and realize later they are from the same blog. I think I visited Young House Love a dozens times, years ago, before making that link, too. The internet works in mysterious ways 🙂 Thanks so much for saying "hi"!